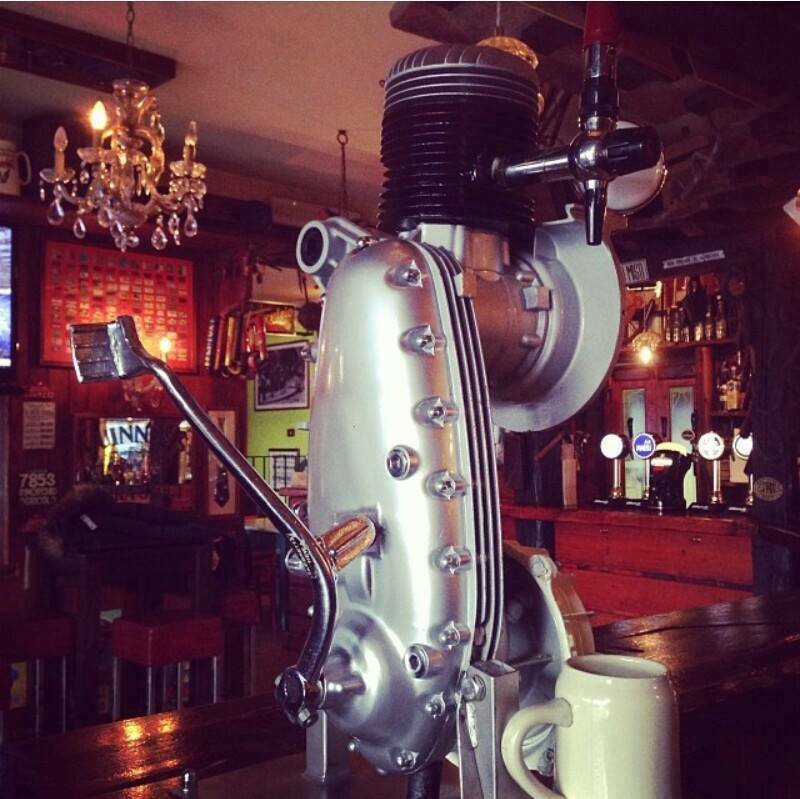 Just in case you need another reason to get down the pub, some clever person has found a way to engineer a beer pump from a Lambretta engine/crankcase… I found this on Facebook, on the Lambretta Photography page, who are well worth a follow if you do the FB thing! If anyone has more information about this, including the drinking establishment where it is located, please let me know, I’d love to give them a shout out! This entry was posted in Ephemera, Uncategorized and tagged ale, Beer, beerpump, cool, crankcase, engine, funny, innovative, odd, Pub by crocodilejock. Bookmark the permalink. There is youtube video of this tap. I have another photo of it from the other side too. I have no idea where the pub is located. I’m having trouble tracking that YouTube vid down Corey… have you got a link? Also haven’t forgotten about that Eibar/Serveta thing, let me know what you want to post!